The NAC-NU Central Asia Studies Program, in partnership with GW’s Central Asia Program, has published a book on China’s Belt and Road Initiative (BRI) and its impact in Central Asia. Marlene Laruelle (Director, GW’s Central Asia Program, Washington, D.C.) writes in the introduction that BRI is not simply the sum of individual projects centered around the idea of connecting China to the rest of the world via new continental and maritime infrastructure. Rather, it is a metadiscourse on the Silk Road and a new manifestation of China’s soft power, of its “peaceful” and “multilateral” rise. Through BRI, China is and will certainly remain the largest investor in Central Asia. It is the only country that can mobilize huge investment in the region, far beyond what Western countries and Russia can offer. However, the success of this connectivity is relative: in practice, some of the money committed is lost to corruption and administrative dysfunction, while projects are not held to higher sustainability standards and are primarily assessed on their profitability. In addition—and this is a critical issue—it seems that the Chinese projects have trouble achieving the kind of higher economic impact that could translate into more local jobs and transfer of knowledge. Yet whatever its outcomes, China’s growing involvement in Central Asia is a long-term phenomenon and a turning point in Central Asia’s post-Soviet history and economic development. A spokesman for the Chinese Ministry of Commerce noted in April 2017 that since 2013, the year in which President Xi Jinping announced the land-based Silk Road Economic Belt (SREB) at Nazarbayev University, US$304.9 billion in contracts have been signed between China and the economies along the route. Sarah Lain (Royal United Services Institute, London) writes that “connectivity” is the buzzword of BRI. The Chinese leadership explicitly links connectivity with economic development and, by extension, security and stability. But are there also risks of over-connectivity with China? For BRI to be successful in the way China suggests, it must both stimulate industry that channels more trade to China and allow for the diversification of trade away from China. Over-reliance on China as a market and foreign investor creates significant risks of which the Central Asian states are already aware, some more than others. Over-dependence on China as a buyer of commodities is a particular risk. Turkmenistan is currently feeling the pressure: China has been the sole foreign importer of Turkmen gas since Russia halted gas imports from Turkmenistan in 2016. The success of China’s SREB project may also present a further challenge to the competitiveness of Central Asian exports. If economic development in Xinjiang is successful, the Central Asian states may find themselves competing with Xinjiang to sell their products to eastern China. This threat is particularly acute because Xinjiang is seeking to grow its mineral, energy, food, and textile industries, all of which are key sectors for Central Asian states. Paulo Duarte (Universidade Autónoma de Lisboa, Lisbon) argues that BRI expresses China’s desire to securitize its access to energy and mineral resources. In addition, BRI aims to achieve military, political, and cultural objectives by increasing China’s capacity to project influence in the regional and global sphere. It is a holistic securitization, since the various Chinese provinces (metaphorically, “the constituent parts of the whole”) are called on to contribute, in their individual ways, to the attainment of a higher goal. This higher goal is a project that begins internally, extends to China’s periphery, and gradually expands to other corners of the world. The revival of the East–West corridors thus aims to achieve multiple securitizations in the spheres of politics, economics, military might, and soft power. The Eurasian Heartland could emerge, little by little, from its isolation, affecting the future position of the United States in a world where more people would travel across Eurasia by rail than would fly across the Atlantic to America. Hao Tian (Georgetown University, Washington, D.C.) examines the mechanisms of allocating and receiving Chinese foreign aid. Chinese aid often falls between development loans and foreign investment, especially when aid provides access to natural resources or contract packages in recipient countries. Hence, Chinese aid differs from Western equivalents in both the content and the norms of aid practice. China’s assistance often comes in packages that mix aid, concessional loans, trade agreements, and investment deals; these packages frequently include certain kinds of Chinese requirements, or implicit conditionality. Сonditions are either embedded in Chinese project financing requirements or expressed as broad political “bottom lines” for diplomatic relations, such as China’s territorial integrity and other areas Beijing considers its “core interests.” First and foremost, recipient countries are expected to support the One China policy and affirm that the People’s Republic of China is the legitimate government of all of China. Another type of conditionality with high relevance to Central Asia is embedded conditionality. Also known as “tied aid,” it means that money from China comes in packages that are linked to the interests of Chinese firms. Concessional loans for infrastructure and technical assistance projects stipulate that no less than half of the materials, equipment, technology, and services procured under the contract should come from China. Another key condition of soft loan provision is the participation of Chinese companies, which enables China’s state-linked enterprises to expand abroad, gaining overseas contracts and resources. Many believe that this policy is designed to allow Chinese companies to compete with their Western counterparts, which have already established dominance in many foreign markets. Given the “terms and complexities” of Chinese investment packages, Chinese “tied aid,” one U.S. official noted, makes it hard for others to compete. The Central Asian republics’ economic difficulties and isolated geographic locations make them unusually receptive—or vulnerable—to Chinese embedded conditionality. In 2006, China proposed providing Kyrgyzstan with US$1.2 billion in preferential credits to build a railway in return for access to mineral resources. And in 2009, China provided US$4 billion to Turkmenistan in exchange for the right to exploit the South Yolotan, one of the largest natural gas fields in the world, which is located near the border with Afghanistan. The loan, part of a 30-year agreement, provides China with about 40 billion cubic meters of gas per year. Although Chinese credit increases economic activity and facilitates trade growth in Central Asia, the region runs the risk of becoming addicted to—and dependent on—Chinese investment to maintain and develop infrastructure constructed under BRI. Another concern is that in a context of facilitated trade, Chinese companies’ comparative advantages might destroy the competitiveness of local companies and create more demand for Chinese imports to Central Asia. All in all, the current China–Central Asia relationship parallels the Soviet economic system, where the southern republics mainly supplied energy resources and raw materials to the more industrialized regions of the Soviet Union. Today, China, like the Soviet Union, is primarily interested in importing raw materials, energy, and mining resources from the region and exporting its finished products to Central Asia. China’s lending policy thus matches the definition of “predatory aid” given in the introduction to the chapter. Alexander Wolters (OSCE Academy, Bishkek) notes that while some analysts argue that BRI is designed as a way for the parties involved to stake claims and build legitimacy, this vision is turned upside down on the ground. China is progressing unimpeded toward uncontested economic and, as might be expected, political hegemony. The cases of Tajikistan and Kyrgyzstan provide different examples of how the Chinese BRI initiative is being presented and discussed by state and society. They also exhibit differences in the ways officials lay claim to BRI to call for or legitimize action. In Tajikistan, the state simply imposes a narrative that almost seems to welcome emerging dependency on Chinese investment. Meanwhile, in Kyrgyzstan, informal bargaining results in fruitless attempts to achieve more investment, causing experts to call for more concerted action vis-à-vis Chinese opportunities. And while Tajikistan sees a heavy influx of Chinese investment in all spheres of the economy, to the point where Chinese money looks set to finance the construction of entire cities, Kyrgyzstan’s dependency is less pronounced and more contested. The set of actors involved, public controversies regarding Chinese investment, and the integration of Kyrgyzstan into the Eurasian Economic Union have made its relationship with China and the potential for Chinese investment much more complicated. In the end, all difference in actors and discourses aside, Chinese investment practices have not changed since Xi Jinping announced the One Belt, One Road initiative. The Chinese continue to distinguish themselves by means of direct state-to-state contacts, they avoid cooperation with other donors present on the ground, and they can rest assured that their economic expansion will continue undisturbed as long as no other relevant source of funding or form of development emerges in the region. Madina Bizhanova (Georgetown University, Washington, D.C.) notes that while the Kazakhstani state is looking forward to the inflow of transit fees, Chinese contributions to the improvement of its transport infrastructure, and the general inflow of Chinese investment into the national economy, the government does not seem to have a clear strategy for using SREB to develop its non-energy sectors. She proposes one possible approach: focusing on exporting agricultural products along the routes developed by SREB and investing in transport infrastructure in the rural areas around Kazakhstan’s major cities. In May 2016, Gulmira Isayeva, Kazakhstan’s deputy agriculture minister, announced that Chinese companies were in talks to invest US$1.9 billion in 19 agricultural projects as part of the BRI, though the announcement emphasized that Chinese companies would not be allowed to own Kazakh land. More recently, on July 11, 2017, Kazakhstan and China signed seven agreements worth a total of US$160 million at the Kazakh-Chinese Agriculture Investment Forum in Astana. Marek Jochec (Nazarbayev University, Astana) and Jenny Jenish Kyzy (J-Invest Consulting, Bishkek) write about a case study in Kazakhstan and Kyrgyzstan in which they surveyed some 300 respondents from within the two countries’ young, educated elite. The overall opinion of this educated class on Chinese foreign investment is quite liberal. They almost unanimously agree that foreign investment is good for their country (96 percent agree or strongly agree). The most feared negative impact is the influx of Chinese immigrants: about 80 percent of respondents tend to agree that this constitutes a risk. Next comes pollution and environmental damage (70 percent), followed by Chinese management practices (65 percent in Kazakhstan and 52 percent in Kyrgyzstan). By contrast, only 25 percent of respondents think that Chinese investment would upset Russia, and 30–40 percent that it would disrupt the geopolitical balance of power. Some 59 percent of Kazakhstani respondents, and 44 percent of those in Kyrgyzstan, tend to agree that Chinese investment constitutes a threat to their country’s independence; only 6 percent would allow Chinese workers to be physically present in their country. Kyrgyzstan seems to be more open to closer cooperation with China. Between 65 percent and 75 percent of people support some form of customs union, free movement of goods, and free movement of capital with China (in Kazakhstan, support for such measures is 35–50 percent). Some 43 percent of respondents in Kyrgyzstan would also support free movement of people, compared to 23 percent in Kazakhstan. Kemel Toktomushev (University of Central Asia, Bishkek) attempts to assess the threats of rent-seeking behavior for the successful implementation of the Silk Road Economic Belt project in Central Asia. He seeks not only to expose illicit practices within the domestic politics of Central Asian states, but also to demonstrate that Chinese modes of foreign investment often do not comply with the norms of responsible development, instead exacerbating the problems of political accountability and economic governance in Central Asia. The era of confrontation between the Chinese empire and the nomadic tribes of Central Asia is long gone. Nevertheless, in Central Asia, China is still viewed through the prism of distrust and fear. Local public opinion and political discourses often attribute Beijing’s bilateral and multilateral initiatives in Central Asia to a secret, imperialist Chinese agenda of establishing regional and global hegemony. As Sebastien Peyrouse noted, views of China in the region have not evolved from Soviet clichés that cast China as an enemy, and these perceptions continue to portray Beijing’s actions as soft expansionism and civilizational differences. The March 2016 unrest in Kazakhstan revealed that even this country, which aspires to become one of the world’s top 30 developed economies by 2050, may be struggling to curb local people’s growing Sinophobia. To dampen protesters’ revolutionary fervor, Kazakhstani President Nursultan Nazarbayev was forced to fire his national economy and agriculture ministers, place a moratorium on land reform, and create a special committee on the issue. While the subject of land reform is politically explosive by nature, a broader picture reveals that anti-Chinese sentiment is still deeply rooted in the region. Chinese engagement there is inevitably a target of conspiracy theories: some suggest that infrastructure projects seek to obscure China’s goal of turning Central Asia into its personal source of raw materials and natural resources, while others propose that China aims to use Central Asian land to address its overpopulation problem. Fears that China’s plan is to co-opt the Central Asian states and turn them into clientelist states dominate public and political discourses. Another question to explore is how China’s peculiar and non-transparent modes of foreign investment, along with its indigenous social practices (such as guanxi), will evolve in the graft-prone region of Central Asia. Not only can such a way of doing business jeopardize the deliverables and reputation of BRI, but it can also antagonize national communities and feed rapidly growing Sinophobia in Central Asia. Sobir Kurbanov (ECCCA, World Bank, Washington D.C.) writes that the investment, trade, and transit barriers imposed by Central Asian border, customs, and regulatory authorities often disqualify the region as a destination for doing business or scaling up trade and investment activity, not to mention the BRI project. If these barriers are not removed, Central Asian countries will reap the benefits of BRI only as transit countries, not as destinations for much larger investments. Even highly risk-tolerant Chinese investors find it difficult to trade and invest in Central Asia. Bhavna Dave (University of London, London) writes that BRI has spurred a flurry of public diplomacy to engage the various stakeholders within society and reinforce high diplomacy—the handshakes between the leaders of China and Central Asian states serve as affirmations of friendship, a common vision, and the convergence of goals and priorities. As China invests vast amounts in enormous infrastructural projects and agriculture in parts of Africa and Asia, the ruling authorities are becoming sensitized to local resistance to China’s growing influence in the economic, business, and sociocultural spheres. China has embarked on a concerted public diplomacy drive, emphasizing people-to-people contacts in order to transform the way it is perceived in the region and engaging with a broader array of societal actors and stakeholders in order to alter the prevailing stereotypes. The Chinese political establishment is taking determined steps to alter notions about it held in the West that have become hegemonic and been widely shared around the world. China wants to be seen as a reliable economic partner interested in the mutually beneficial pursuit of shared objectives, but without any political goals. Chinese soft power strategy promotes an image of Beijing as a reliable and pragmatic economic alternative to the West and Russia. Emphasizing people-to-people contacts while unveiling the Silk Road Economic Belt strategy, Xi announced that 30,000 government scholarships would be awarded to students of SCO member states. He also mentioned plans to invite a further 10,000 teachers and students from Confucius Institutes in these countries to visit China for study tours. Xi extended an invitation to 200 faculty members and students from Nazarbayev University to go to China the following year for summer camps. In addition, there are Chinese Government Scholarships, the Chinese Government Chinese Government Special Scholarship Scheme–University Postgraduate Program in designated universities, the Distinguished International Students Scholarship Scheme, the Chinese Culture Research Fellowship Scheme, and short-term scholarships for Chinese language studies. There are major centers for teaching Chinese language to students from SCO states at Lanzhou University in Gansu province, which is on the list of China’s top 100 universities, and at Xinjiang Pedagogical University in Urumqi. Yelena Sadovskaya (International Consultant on International Migration and Migration Policies for Kazakhstan and Central Asia, Almaty) and Leah Utyasheva (Institute on Migration Policy, Berlin) focus on the human element and the social benefits that the countries involved could achieve from the increased cooperation and ties encouraged by the BRI. The analysis starts with the petty traders who pioneered people-to-people interactions along the Silk Road at the end of the 1980s and the beginning of the 1990s. Trade has been the most prominent sphere of economic interaction between China and Central Asian countries, dominated by Chinese petty traders, individual entrepreneurs, and local shuttle traders. Uyghur traders and entrepreneurs from Xinjiang initially leaned primarily on the local (Kazakh and Kyrgyz) Uyghur communities that provided migrant reception areas through organizations promoting trade and small business development. The beginning of the 2000s saw the emergence of labor and business migration, which intensified as economic cooperation between China and Сentral Asia grew. Kazakhstan has been and remains a leader in attracting a labor force that now ranges from CEOs and professionals to skilled workers and entrepreneurs. Chinese education is gaining in popularity thanks to increased cooperation in the educational sector. This includes scholarships, the facilitation of academic exchanges, and the establishment of Confucius Institutes to promote Chinese language and culture abroad. In 2006–2007, only 1,200 students from Kazakhstan studied in China, by 2014–2015, this number had increased to 11,200 students. In 1993 and 2005, only 265 students from Tajikistan studied at Chinese universities. In 2006-2011, this number had increased to 3,677 students. There is also a modest flow of Chinese students to Central Asian universities, consisting mainly of people interested in studying Russian and local languages. The tourism industry has an indisputable impact on human capital development. Many Central Asian tourists go to the neighboring Xinjiang region—in 2007, tourists from Kazakhstan and Kyrgyzstan comprised 17 percent of all tourists visiting the region (70,900 people). Vera Exnerova (Oriental Institute, The Czech Academy of Sciences, Prague) surveys the People’s Republic of China’s (PRC) efforts to influence society in Central Asia within the framework of its ambitious BRI. China has, among other things, invested considerable effort in improving perceptions of the PRC among local public opinion in Central Asian countries and addressing latent Sinophobia and fears of Chinese expansionism. PRC representatives have actively sought to involve local actors from different segments of society (elites, intellectuals, public organizations, civil society, etc.) in reinterpreting shared history and legitimizing the BRI project in the region. From a theoretical perspective, the chapter utilizes the concept of “transnational societal spaces” instead of automatically referring the research to a nation-state. The concept addresses the sustained ties to networks and organizations across national borders. Unlike other studies, which approach PRC initiatives as monocentric, center–periphery endeavors, the chapter proposes to study China’s BRI and its social and cultural aspects as a polycentric effort. Gaukhar Nursha (Al-Farabi Kazakh National University, Almaty) writes that Chinese culture and the Chinese educational system are attractive to youth worldwide, as well as to Central Asians, who hope a Chinese diploma will give them an economic advantage when they return home. But difficulties with mastering the language itself, a comparatively low number of jobs where Chinese is a must, and stronger soft power attraction to the West make China’s efforts to popularize itself less effective than the Chinese authorities would like them to be. To date, we cannot assume that Confucius Institutes are helpful in constructing a positive image of China, for a number of reasons. Confucius Institutes’ low representation in the region, along with poor networking among their alumni, mean that this social capital goes neglected and unused. While many academics state that Confucius Institutes play a sizable role in reinforcing Chinese political and economic partnerships with other countries, the scope of what they have achieved in Kazakhstan and Kyrgyzstan over the last decade remains questionable. Is China attractive? Yes. Is this attraction soft power? Definitely not, at least according to Nye’s concept. First, Confucius Institutes are not authentic tools of soft power, as they were created by the government and remain tightly controlled by it. They are more public diplomacy and propaganda instruments than effective tools for creating a positive image and influencing local decision-makers. Azad Garibov (Khazar University, Baku) writes about negative perceptions of Chinese labor migrants among local populations. After the announcement of BRI, the number of Chinese migrants in Central Asia grew rapidly due to increased Chinese investment. Some countries have witnessed a rise in alarmist attitudes toward China and a surge in incidents against Chinese migrants. In Kyrgyzstan and, to some degree, Tajikistan, anti-Chinese sentiment has led to protests. In Kazakhstan, which has long been considered the bastion of regional stability, news of the possibility of renting the country’s farmland to China sparked the largest protests in two decades. Uzbek and Turkmen authorities have tightened migration controls and introduced strict limits on the number of Chinese workers who can be employed locally, with the goal of preventing the spread of such incidents to their countries. Still more factors feed anti-Chinese sentiments in Kazakhstan and Kyrgyzstan. Among these are internal political dynamics—including attempts by politicians/elite groups to benefit from anti-Chinese grievances—and a lack of knowledge of China, its culture, language, and habits. The latter prevents the development of interpersonal relations and communication between locals and Chinese migrants and employers. An additional factor is the failure of Chinese companies to effectively address the concerns of locals and to use Corporate Social Responsibility tactics to manage problematic relationships with local employees. Aziz Burkhanov (National University of Singapore, Singapore) explores and discusses the political implications of the BRI initiative and its impact on the socio-cultural perception of China and Chinese in contemporary Kazakhstani and broader Central Asian media discourse. Most Central Asian countries have certain societal prejudices toward China, primarily due to history and popular stereotypes. The legacy of the Sino–Soviet border conflicts of the 1960s and 1970s, an imbalanced demographic situation, and the lack of academic and scholarly expertise on contemporary China have all contributed to a stereotyped and alarmist view of China. Current literature demonstrates that ordinary Central Asians, including Kazakhstanis, do not necessarily agree with their leaders’ assessment that gradually improving relations with China is in the country’s national interest. Survey analysis and expert observations indicate the presence of various phobias and prejudice-based myths in Kazakhstani citizens’ perception of China and the Chinese people. In part, this negative perception is rooted in existing problems, including poor treatment of local workers employed by Chinese companies operating in Central Asia, who experience poor labor conditions, lower wages, and a lack of medical care. Local manufacturers perceive the influx of Chinese goods into Kazakhstan as a threat, since they cannot compete with Chinese companies. There are dual perceptions of Chinese involvement by Kazakhstani public opinion. In terms of the state-to-state relationship, political and economic cooperation between China and Central Asia is developing well and is well promoted by ruling elites. However, any expansion of Chinese involvement in Kazakhstan’s economy also triggers pushback and enhances the negative perception of China in local public discourse. In particular, there are questions about the role Xinjiang will play in Kazakhstan–China relations and what approach Kazakhstan’s leadership should take in its policy toward Xinjiang: supporting the ethnically and culturally close Uyghur population of Xinjiang or developing good relations with China? 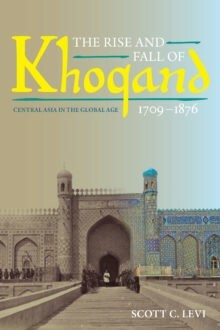 The Demographic Annual Report of Kazakhstan, published in 2008, estimates the Uyghur population of Kazakhstan at 241,946, or 1.53 percent of the country’s population. The Chinese authorities try to improve the perception of their country by expanding contacts and exchanges with Central Asia. BRI, which aims to enhance economic cooperation between China and the Central Asian region, ultimately building trust and improving Kazakhstanis’ perception of China, has great potential—but it appears that to this point, its impact on Central Asian identity issues has been limited and even sparked some cultural resistance.